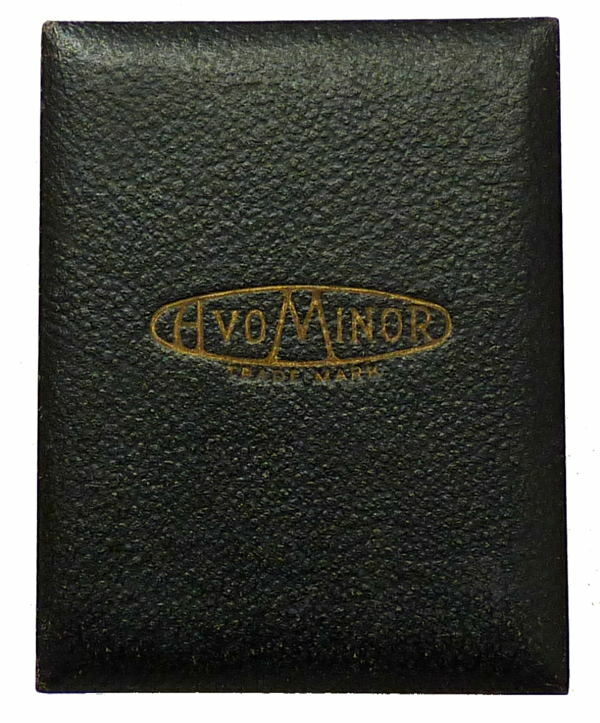 The AVO Minor was a smaller version of the original AVO multimeter which started life back in 1923, and is a DC-only instrument. Though known for their Avometer general purpose multimeter's, AVO (or AWEECO as they were originally) made a wide range of test gear including valve testers, oscillators and light meters. You will find more information here about these instruments and other similar models. AVO also produced a range of the small multimeters such as those shown here which are described here. DC AVO Multiminor This meter which was first introduced in 1933 remained in production in this form for many years. The one shown above was made in 1933, but by 1935 a modified version of the instrument was introduced. 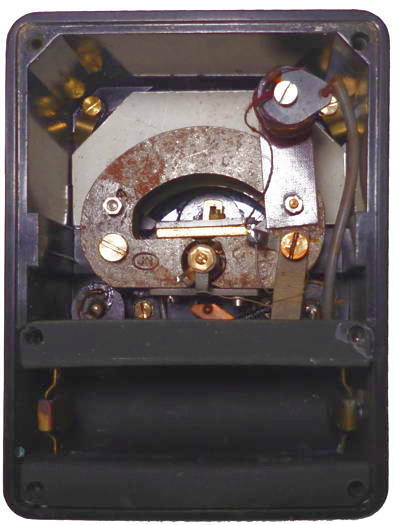 On the later model the wiper of the ohms potentiometer was brought out to the front panel at the centre of the adjustment knob and this enabled it to be used together with the positive socket for the meter to indicate 3mA FSD provided that the adjuster was turned fully clockwise. In addition it was then possible to measure up to 3 megohms by making a connection between the centre socket and the 6mA and using an external battery in series with the resistor under test and the apropriate voltage socket. Both models incorporate 2mA moving coil meter movements which have a total resistance of 60 ohms with their swamp resistors. The meters are shunted with three resistors and the ohms adjuster potentiometer in series totalling 120 ohms to reduce the basic sensitivity to 3mA with an effective resistance of 40 ohms. 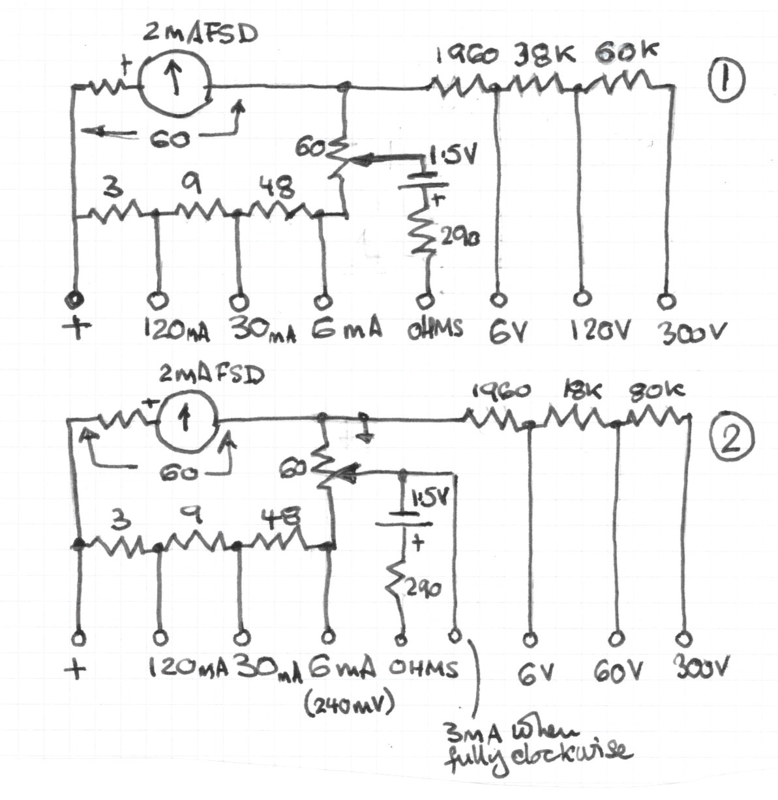 On the original model no provision was made to have a 3mA FSD but extension of the voltage ranges by using the 6mA socket instead of the positive one was possible on both models. Both versions continued to be made for many years. I purchased this little meter on Ebay in 2014, it came complete with leads and nice wooden box as illustrated above. It was in good condition, the movement worked and the meter appeared to give more or less correct readings on the voltage scales but the ohms range refused to function. I discovered that the contact between the variable resistor and the battery contact was not making good connection and one of the leads was making intermittent connection with its banana plug. When tested with a couple of standard resistors it was found to be accurate at 100 and 1000 ohms and 2000 ohms. I found that the voltage and current ranges read slightly high, perhaps because the magnetic shunt was not making intimate contact with he magnet. Moving the shunt seemed to have little effect so I resorted to placing a piece of transformer lamination alongside and gluing it in place. The battery compartment was designed to take the now obsolete EverReady U10 which is the same size as one of the cells in a 4.5 Volt flat cycle lamp battery. I have used a AA cell with a metal spacer made from a cut down cell all housed in a piece of plastic pipe. The Ohms adjuster and the wiper shaft which makes contact with one of the battery connectors can be seen here. The resistor bobbins are mounted around the front panel sockets. More recently I have been given two more which formed part of a collection of many instruments collected by Bob Evans which I have been given by his daughter Alice Kirby. Ser Nos 77760-146 (jnuary 1946) and 48083-48. (April 1938) The mouldings on these two instruments unlike the earlier model above are stepped and wider at the base. I assume this was because it was found that the original design could easily be broken. Both of these instruments have one piece magnets unlike the earlier models. Test leads The sockets are 1/8 inch which is just over 3mm. I have not found a supplier for suitable leads and make my own. Most sets of leads you see on eBay or Amazon are 4mm. I guess you will have to look for 3mm banana plugs which are split and can be tweaked to fit and change the plugs.